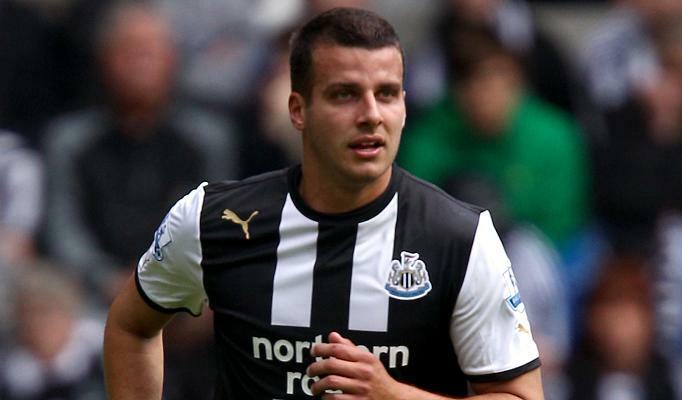 Back in December, home-grown Newcastle United centre-back Steven Taylor had his promising 2011-12 campaign cut short yet again by injury, leaving a huge whole in Newcastle's defence, and causing some real problems for the back four. Whilst the play of James Perch and Mike Williamson was admirable in Taylor’s absence, there is no doubt that the defence struggled without the big Geordie in the middle, and it showed. After having the league’s best defence in the first few months of the season, Newcastle went on to concede five goals in not one, but two games, against Fulham and Tottenham, and eventually carved out more of an offensive identity to compensate for this as the season went on. With Taylor returning for the 2012-13 season, the former England U21 player will act as a new signing for the Magpies, and more importantly will help Newcastle to build a more well-rounded starting XI. If Newcastle can add a quality right-back like Mathieu Debuchy to go along with the returning Taylor, their defence will suddenly start to look like that dominating unit from early last season, which could really change things as they look to qualify for the Champions League. An improved back four could be the difference that puts Newcastle ahead of a more attacking team like Arsenal next season, and Taylor’s comeback will be a huge part of this. That said, the impact of Taylor’s return to action may not necessarily be felt in its full force quite so early on, as Newcastle assistant John Carver told the BBC that the club plans to nurture him following his Achilles tendon injury. Considering his injury history, its fair enough for the Newcastle staff to be cautious this time round, and it could pay off by making sure that this injury doesn’t recur or linger during the season. Exactly how much playing time will be lost with Newcastle waiting for Taylor’s full recovery is not yet known, but fans can only hope that it won’t be long before they once again see Taylor returning to his rightful place in the heart of a solid defence. around 10 years. Simon McDonagh has herself suffered from panic previously and that’s how this individual created using this method to help other people take care of nervousness operations problems. Cognitive-behavioral treatments the first step toward the particular Panic Away system is considered to be one of the most dependable and confirmed strategy to combat anxiety. It does not take strategy most expert specialists would certainly make use of to assist deal with panic disorder. Panic Away is acknowledged for its “One Move Technique” which usually teaches you the way to reduce your own a sense anxiety once you feel the very first symptoms of panic or anxiety attack. It is based on a simple strategy in which offers to enable you to quit your own panic attack in 21 mere seconds and also to end your anxiety normally, in less than 7 min’s. process may be the just accurate cure for anxiety and panic. a exclusive way of stress and anxiety operations. It’s going to educate you on how to crack the actual stress and anxiety trap and not just deal with your own anxiety attack, nevertheless turn the actual tables about anxiety and also learn how to to not at any time worry an anxiety attack again. Whilst there are various self-help strategies aimed at letting you defeat your anxiety, some of them need you to go back for the previous, towards the primary panic and anxiety attack you’ve ever skilled, as well as discover the foundation cause of the idea. take a lot of work? I’ve absolutely no understanding of coding however I had been hoping to start my own blog in the near future. Anyway, if you have any ideas or techniques for new blog owners please share. I understand this is off subject nevertheless I just wanted to ask. Thanks a lot! Just stated, every single human becoming is different. Hey there I am so thrilled I found your web site, I really found you by mistake, while I was researching on Bing for something else, Anyways I am here now and would just like to say thanks a lot for a tremendous post and a all round enjoyable blog (I also love the theme/design), I don抰 have time to read it all at the moment but I have bookmarked it and also added in your RSS feeds, so when I have time I will be back to read a lot more, Please do keep up the great work. transmit full motion, real time color video up to a range of 150 feet while a built-in microphone captures all the audio.